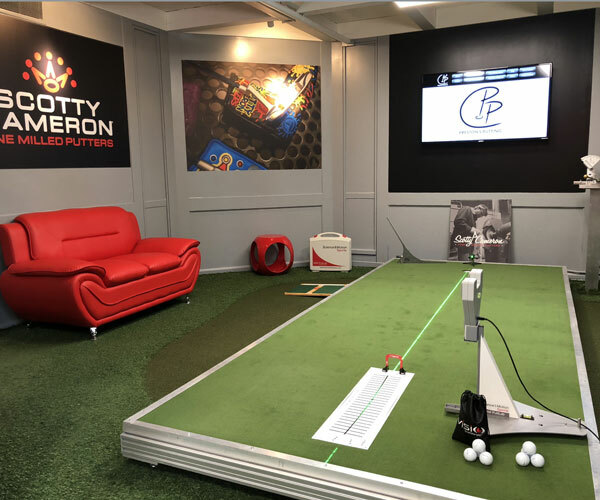 The following installations show some good examples on how our clients have integrated our products into their workflow to provide state of the art putting analysis and training. “At the beginning there is always a short conversation, in which it is clarified how the customer rates his own performance on the putting green, what his typical mistakes are and how much confidence he has in his putting under pressure.” This gives Marco Burger a first impression of the relationship between the player and his putter, which has an influence on the further procedure. 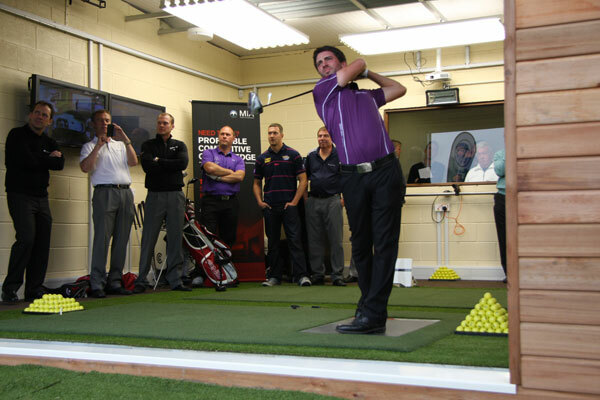 The actual fitting process is then based on SAM PuttLab analysis on a computer. After measuring a few putts with your own putter, the results on swing path, face rotation, rhythm, impact or repeatability are analysed. “The repeatability (or ‘Consistency’) is the most important factor. Even the best players in the world often have no movement right out of the textbook, but are able to reproduce their swing and rely on a constant putting stroke” Burger says. During the fitting process the putter length, head type, head balance, loft, lie and grip type are adjusted. 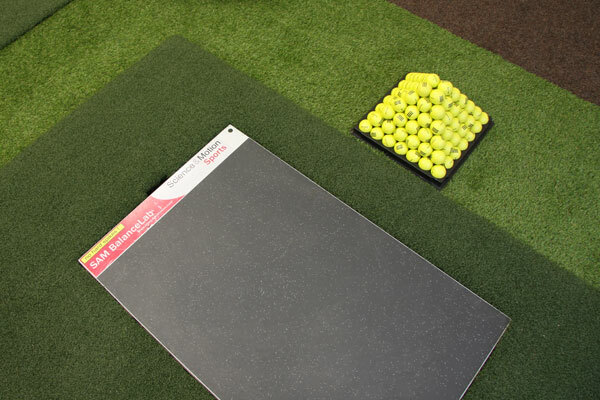 The HIO-Fitting workshop offers a variety of options and models with different shapes and weights that can be matched to the needs of the golfer to increase his performance on the putting green. And that’s why a HIO club fitting session often includes a SAM BalanceLab analysis. Preston is a Class A PGA Member with great experience under some of the most successful instructors in the country. 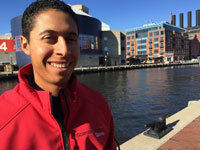 His background specializes in putting and he has studied under David Orr, coach of Justin Rose and Hunter Mahan. Preston is a certified SAM PuttLab instructor at the highest level. EvenPAR is hosting this high-tech Infrastructure since 2006 at different locations in Switzerland. 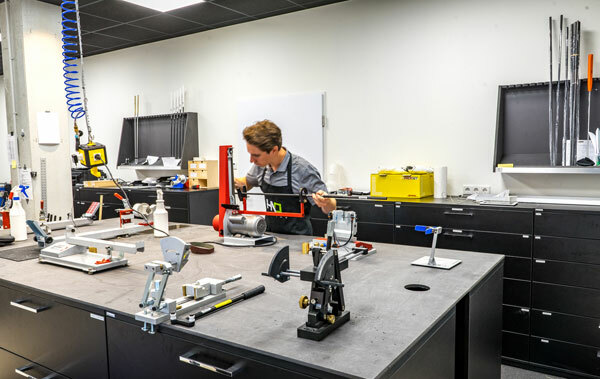 On Top of this, the Putt Competence Center runs it’s own Workshop to fit the Putters of their Customers based on the measure results. Tom Ritsch is certified SAM PuttLab Instructor and Level 2 accredited Putting Instructor by Harrold Swash Academy. He was analyzing more than 1000 putting strokes over the years and is an editor of several publications about putting. Tom is working with most of the professional players in Switzerland, the National Squad and some of the national Team Players of Austria. 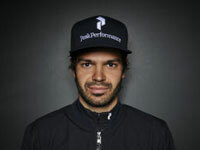 He ist part of the Swiss-PGA Education and was working for 5 years on the Ladies European Tour in Putting. 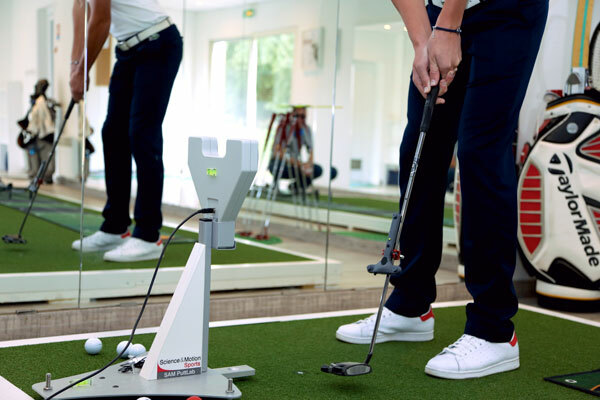 Golf trainer Rémy Bedu uses SAM PuttLab for analysis, training and fitting in his Putting Academy at the Mont Griffon Golf Club. 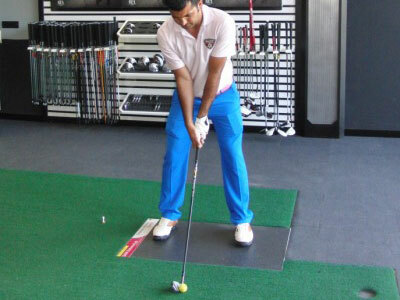 “After questioning my student to know his expectations and needs I use the SAM PuttLab to make the diagnosis. ‘Why try to guess what you can measure with a modern tool like SAM PuttLab'” he believes. Rémy Bedu has been a certified golf instructor since 1991. In 2012 he made his club coaching diploma. To complete his skills, he is trained in the use of modern tools, such as the SAM PuttLab for putting. He considers that each student is unique and that his role is to adapt his teaching to each of them. 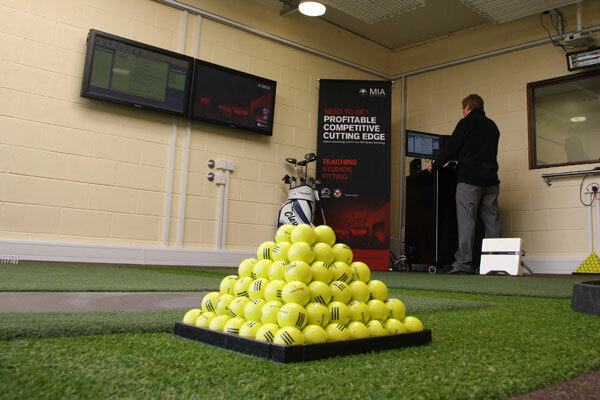 MIA Sports Technology has completed the opening of two state of the art teaching academy bays at the Leeds Golf Centre, West Yorkshire, United Kingdom. The official opening was conducted by a trio of Yorkshire sporting talent including Leeds Rhino Danny McGuire, European Tour Professionals Danny Willet and John Parry. 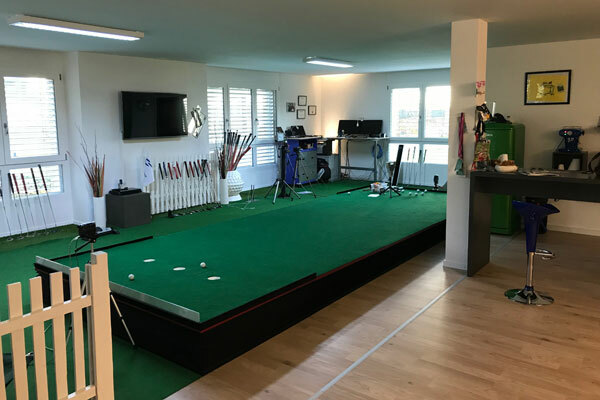 The new studio is one of the most advanced anywhere in Europe and deploys FlightScope, hi speed V1 PRO video analysis software, SAM PuttLab, SAM BalanceLab and E6 Simulation technologies integrated within two purpose built rooms. 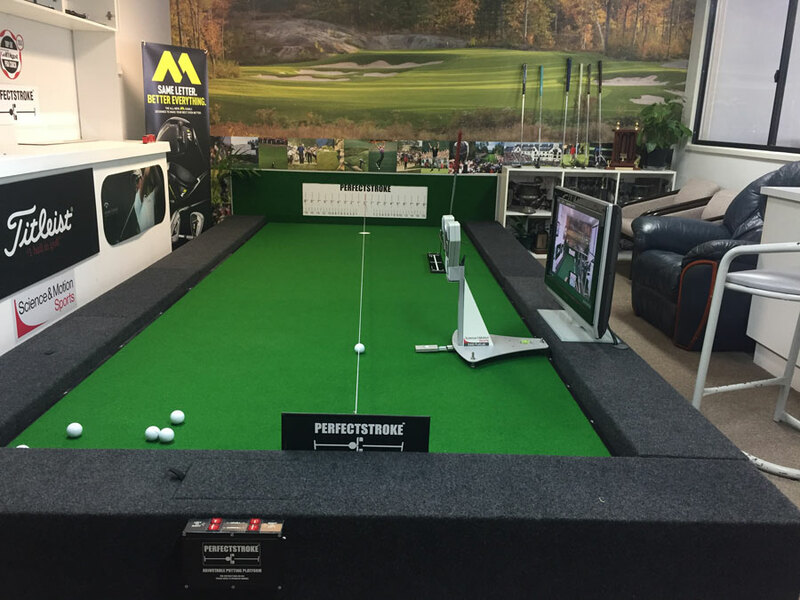 The Perfectstroke Golf Training Centre on the Gold Coast in Queensland (Australia) has a purpose built putting studio featuring the SAM Puttlab system, video analysis software as well as an electrically adjustable putting platform. This enables not only high variability in length of putt and break amounts for practice but also analysis can be undertaken on the Puttlab on breaking putts. Perfectstroke Golf Training Centre owner and Managing Director Mark Officer believes this is very important in helping to analyse tendencies with better players. “I have been a user of Puttlab since 2006 and have always liked the way the analysis is done, providing facts about what is actually happening in the aim and stroke and then the coaches opinions about steps needed for the player to improve can be implemented and proven. I quickly saw the need for being able to measure and analyse what elite level players were doing on all kind of putts” Officer said. “So to be able to do a measurement firstly on a perfectly straight putt and then breaking left to right and right to left provides incredible insight into a players ability to maintain stroke mechanics, aim etc. 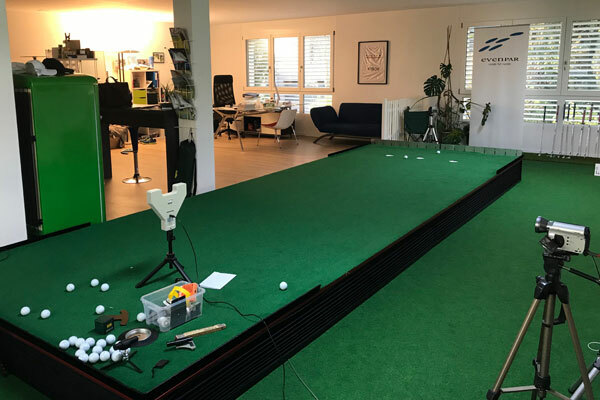 To be able to identify weaknesses and tendencies and go into the Puttlab’s training mode to work on particularly areas has been very valuable in the development of the players that I have taught over the years”. The Perfectstroke Golf Training Centre also has a full swing bay complete with other technologies and an adjustable hitting platform enabling high level training with feedback on the full swing as well as in putting instruction. Perfectstroke owner Mark Officer has been an Australian PGA member since 1986 having spent over 10 years playing on various tours around the world and the last 20 years involved with instruction as well as designing and manufacturing the Perfectstroke Putting Aid in since 2003. Club Champion offer custom fitting and building process. 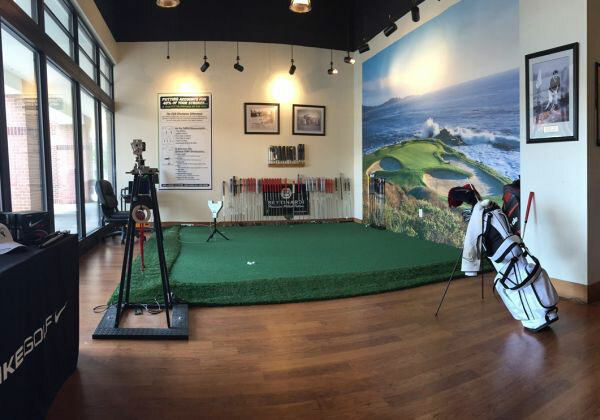 Throughout the United States 11 store locations are equipped with SAM PuttLab. 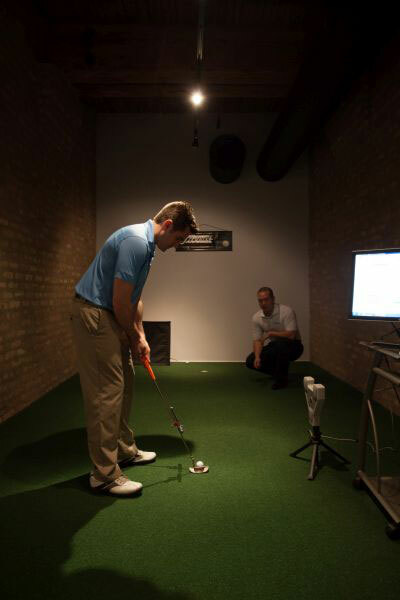 “At Club Champion we evaluate all new technology to make sure we provide the very best experience for our clients. Putting also being 40% of the game we take very seriously to help our clients shoot lower scores. At Club Champion we make the best golf clubs even better through our proven custom fitting and building process. We offer 15.000 hittable, interchangeable head and shaft combinations; all the top brands and the best trained master fitters and club builders in the country. As the first golf club in turkey Carya Golf Club integrates the advanced technology of Science and Motion Sports. In combination with their 3D camera system and their launch monitors they are able to give a high-end fitting experience to their customers. Golfers from all over the world can visit Carya Golf Club to get a completely fitted putter or to improve their balance in the full swing. 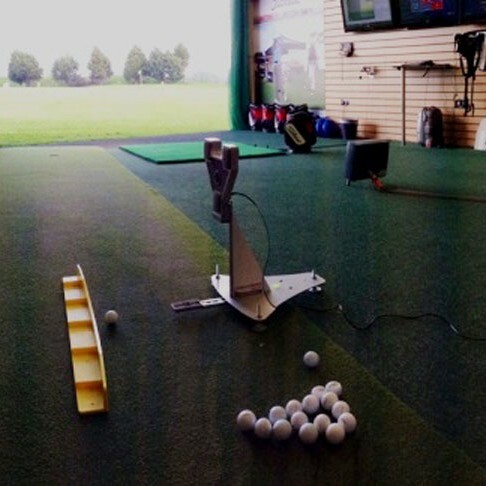 In his own world class performance golf lab Chris Brook has installed the very best analysis equipment available and recently added a SAM BalanceLab to go with his SAM PuttLab system, TrackMan, K-Vest 6D, GASP Lab with high speed cameras and 30ft All Weather Premium Huxley Green. Chris told Science&Motion Sports “to be able to coach at the highest level it’s vital to invest in the best analysis equipment – and for putting and force plates I believe that Science&Motion provide the world’s best products”. Chris goes onto to say “Technology like this has enabled me to precisely concentrate on the adjustments that really achieve the results I want to see with my players. The success I am having as a result of having the correct information using SAM products is proof that nurture is capable of competing with nature”. Chris Brook calls his SAM PuttLab his MRI scanner because very quickly it provides all the data he needs to understand the workings and issues of a player’s stroke. The extended training program enables Chris to have instant feedback on each stroke as evidence that the changes being made are producing the desired results. Having the combination of Balance Lab and K-Vest 6D Chris has been able to take players to another level in their swing dynamics. Chris Brook says “I have been working with one of my tour players over the past year on his kinematic sequence to deliver more power to the ball. We discovered through SAM BalanceLab that not enough ground reaction force and pressure was not transferring onto the left heel and into the right toe as we expected during the early stage of his downswing. This was causing difficulties in stabilizing his pelvis and was leaking rotational speed. With the SAM BalanceLab data we were able to quickly rectify this and produce tour optimum pelvis speed”. At James Harper Golf our aim is to bring the highest level of club-building and custom-fit to the North East of England. Being able to utilize the world leading technology of SAM PuttLab on our premium indoor putting surface, truly helps us towards achieving this aim. Using the detailed reports to check for critical factors such as aim, path, rotation, timing, ball roll etc., we have been able to gain real insight into why people get particular problems or patterns of performance with their putting. Information we would never have been able to pick up using a video camera or the naked eye alone. We have also been using the technology to help re-educate people in sound putting fundamentals, the mechanics of a reliable putting stroke and the importance of properly fit putter. As a direct result of SAM PuttLab we have seen some dramatic improvements in clients putting performance, ultimately leading to lower scores on the golf course (and a few tournament wins!). We see SAM PuttLab as an absolutely invaluable tool at our facility and look forward to helping many more golfers with their putters and putting strokes over the years to come. “There is no other software out there that gives you as much data and is also easy for the client to understand. I even had a custom putter designer come to my studio instead of using his because he is in the transition of changing his current software from the old system to a new Sam PuttLab system. He didn’t want the Touring professional to use his system anymore and made and extra hour drive to come and use my putting lab instead. 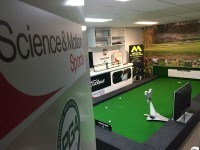 Golfers Paradise, the largest Swiss golf retailer has now incorporated the Science&Motion SAM PuttLab into seven of their stores. The purpose is to support custom fitting of putters during the selling process. 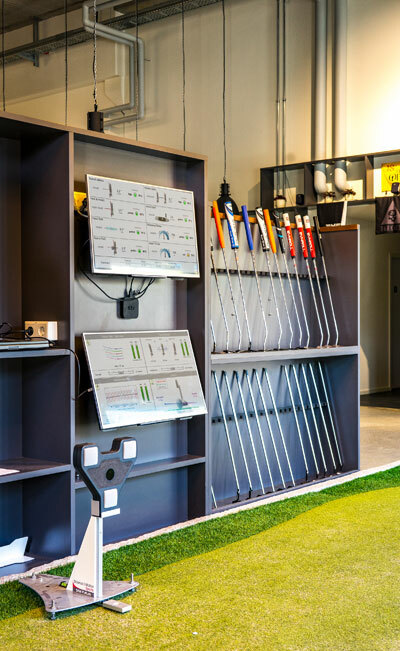 Inside each of these shops the Golfers Paradise staff have gone through a specially designed fitting and sales education presented by the Science&Motion Sports team. This education has been designed to enable them to consult and properly fit their customers during the putter fitting with a holistic approach. During the session, The Sam PuttLab collects the data from the individual customers putting stroke and compares it with more than 100 PGA tour professional results. Within 10 minutes the customer gets a clear message as to which putter fits the individual players stroke. The results are automatically calculated, selected and presented to the shop staff and to the customer. SAM PuttLab is the only putting analysis system that gives a total overview of each putting stroke. 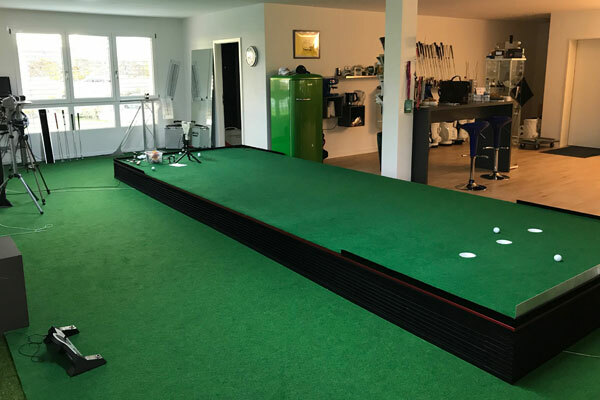 Markus Scherrer, Sales Manager of Golfers Paradise: “With the Science&Motion PuttLab we have increased our activities immensely. Our goal was to use the best technology and help our customers as much as possible. Our customers now have the opportunity to compare from more than 300 putters models to find their best personal fitted putter”. New installations will be added soon.